Just look at that naughty face! It looks as though Danny and Lisa Koppel's son is getting cheekier by the minute! 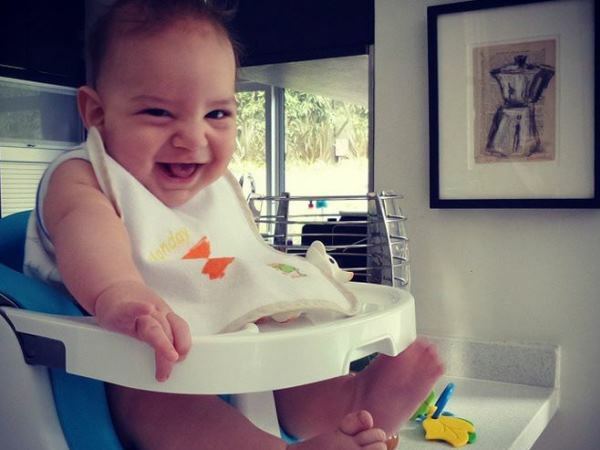 The singer's wife posted this adorable picture of son Jayden, who looks thoroughly over the moon about the fact that he's getting his first big boy meal today! "It's official," the young mom captioned the photo. "He's a foody! #firstmeal #solids #mylittleobsession"